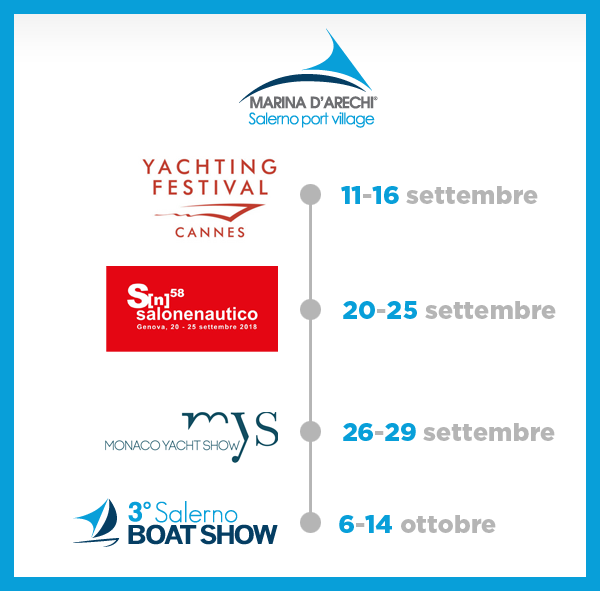 Marina d’Arechi will be present in “Cannes Yachting Festival”, “Genova Boat Show” and “Monaco Yacht Show”. As well, we would be very pleased to meet you at the “Area Sailing World W 30” in Genova from the 20th to the 25th of September. Moreover, we are glad to invite you from the 6th to the 14th of October at the “Salerno Boat Show”, which will take place at Marina d’Arechi.